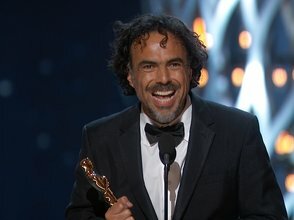 Alejandro González Iñárritu from “Birdman” takes the Oscar for Best Picture, Best Director and Best Original Screenplay. If you missed watching the Oscars by accident, or by design, here’s a recap of the highs and lows. Neil Patrick Harris took a cue from Broadway for a musical Hollywood tribute to Moving Pictures celebrating the past, present and future of film and reminding us why we even bother to watch movies. However, his “Birdman” tribute fell flat and would lead anyone who did not see the film to wonder why Neil Patrick Harris was in his undies. 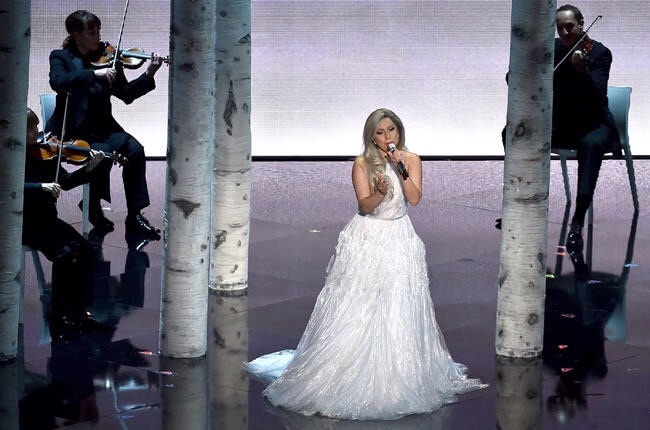 Lady Gaga performs “The Sound of Music” at the 2015 ceremony.ris was on stage in his undies. Also, some felt his magic trick didn’t pay off (I thought it was cool). The presenters were all very serious this year. A few were even in tears as they presented (I’m looking at you Terrance Howard), aside from Jared Leto’s Meryl Streep joke (“They are four women, plus, in accordance with California State Law, Meryl Streep”), which doesn’t count because he apologized for it. The writers of this year’s Oscars decided to go all serious and get straight to the point of presenting, which is fine, but where’s the fun in that? Patricia Arquette made a rousing speech for women’s equality that sent Meryl Streep, Jennifer Lopez and others to their feet in support of this supporting actress. Director Pawel Pawlikowski from “Ida,” the Polish winning Foreign Film, refused to take the hint that he needed to stop talking when the music came on, so much so that the music gave up before he did. Everyone’s excited to win to an Oscar but every year there’s that person who just realized that they won an Oscar, like, really. And it usually happens on stage, and when it’s Brit Eddie Redmayne, it’s cute and funny. …he went and ruined it by weirdly touching her face. Maybe he got bad advice from Joe Biden. “Glory,” from “Selma,” took home the award for Best Song. After this emotional performance that brought many in the audience to tears, it was no wonder why. “The Lego Movie” didn’t walk away with any awards but their song performance was nothing but awesome. It added extra color to the evening with suprise cameos from Batman and Andy Samberg. When Lady Gaga appeared and seemed to be taking on Julie Andrews’ iconic role there was suspicion as to whether or not Lady Gaga would be worthy. Then she sang and our fears were put to rest. The moment got even better when Julie Andrews appeared to present the award for Best Song. Somehow the Oscars managed to run long this year, possibly due to that “Sound of Music” tribute, finishing closer to 9 p.m. rather than 8 p.m. Just be glad you don’t live on the East Coast. “The Grand Budapest Hotel” and “Birdman” tied with four Oscars each but “Birdman” walked away with Best Original Screenplay, Best Director and most importantly, Best Picture. “Whiplash” was second, taking home three awards. Everyone else either walked empty-handed or with only one Oscar, which I am sure they were still grateful for.